Caught in the crossfire of a complex regulatory landscape, case managers now have a critical role in interdisciplinary patient care. Ensuring that the best care decisions are made for patients has long been the primary role of case managers in hospitals and health systems. Lately, the challenge to achieving this mission has become more focused on identifying the best care trajectory that simultaneously satisfies payer needs and safeguards the bottom-line interests of the providers that employ them. It's a delicate balancing act of patient, provider, and payer interests—one that requires well-honed knowledge and skills in clinical care, utilization management, and a fluid regulatory landscape that seems to change weekly. In today's health care climate, industry professionals agree that the role and expectations of case managers has expanded significantly, elevating their work to that of a lead contributor to patient care from admission and discharge to follow-up. 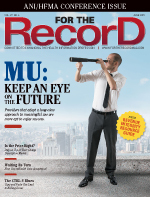 "As value-based payments and bundling of services are increasingly implemented by payers, the role of the case manager in care coordination, transitions of care, and evaluation of quality measures will have to evolve to meet the facility's needs in the changing environment," says Pamela Mulshine, MD, a vice president at Accretive Health Physician Advisory Services. While the case management function in past years has been very much hospital contained and zeroed in on utilization review and discharge planning, Lynn Nemiccolo, senior vice president of customer satisfaction at MCG, notes that health care organizations now are recognizing the value of extending that focus to a more comprehensive patient management function. "Before, case managers were responsible for insurance reviews and making sure the hospital was going to be paid instead of actually managing the patient," Nemiccolo explains, pointing out that case managers were typically involved in discharge planning only from a "mechanical" standpoint. "Now, they are being moved into interacting with providers and having conversations with providers about care delivery—what should be happening … questioning decisions. It's a role on the hospital side that they haven't been in before." Integration into all aspects of care is the key concept to describe the evolving role of case management departments, according to James Donaher, RHIT, CS, a clinical documentation specialist at Waterbury Hospital in Connecticut. "In the past, clinical documentation improvement (CDI) was really here for coding, but now it seems like I interact just as much with case management," he says. Expanded roles in discharge planning and transitions of care alongside an increased focus on decisions to help prevent readmissions are recent additions to the duties of the case manager, Mulshine adds. "Case management departments, and therefore individual case managers, have multiple roles, including but not limited to utilization review, coordination of care between facilities and providers, benefits determinations, payer interfaces, and care management," she says. "These varied roles can be both time consuming and stressful as case managers work to provide the most efficient and complete care for a patient and act as the interface between the patient, the facility, care providers, and payers." Mulshine notes that case management departments vary considerably in terms of organization and staffing, which affects the daily responsibilities of case managers. While some departments separate case management and utilization review, others combine the two. Also, some hospitals may designate staff to be responsible for care management and disease-specific care whereas others may allocate case management resources to deal with a wide variety of patients. "As the roles and duties of case management evolve to match the requirements of the rapidly changing health care systems and reimbursement models, we are seeing much variation in the day-to-day workings of both the department and individual case managers," Mulshine says. As case management models continue to evolve, two trends appear to be surfacing in terms of how departments are run. Some hospitals employ a blended model where case managers perform all functions, while others use a triad model in which the department is composed of three distinct entities all managing the patient's various needs. "A triad model may be more labor intensive as multiple team members are working with the same patient case, but may also be more efficient as people develop specialty knowledge," Mulshine says. In triad case management, a typical staff layout features a nurse case manager who works on care coordination and throughput management; a social worker dedicated to crisis management, discharge planning, and counseling; and a utilization review specialist who is accountable for status reviews and utilization management such as precertification from payers and quality data collection. "On a daily basis, a case manager may face challenges understanding and complying with varied care coordination/utilization management standards and rules associated with varied payers, finding and coordinating patient resources—for concurrent and postacute care—as well as performing utilization review functions with a fluctuating staff-to-patient ratio," Mulshine says. Since the IPPS rule for Medicare went into effect in October 2013, she says there's been a shift in emphasis from support for status determination to support of quality initiatives and readmission prevention. Nemiccolo echoes those sentiments and suggests there's now pressure on case managers to make decisions that support efficient care delivery while ensuring patients are discharged as healthy as possible to minimize the potential for readmission. "Case managers have a lot to balance now," she says. "If they move [patients] out too soon, the hospital's in trouble. If they don't move them out soon enough, the hospital's in trouble." In essence, Donaher says the role of case managers has evolved to the point that it now covers the full spectrum of patient care, from admission planning and ongoing review of medical necessity to discharge planning and follow-up. While case managers may not write admission orders, they play an integral role in guiding physicians in their decisions about the most appropriate level of care for patients. Specifically, the case manager's clinical knowledge and background is leveraged to help evaluate whether the level of documentation regarding the severity of illness justifies the intensity of service provided to ensure the best possible outcome for all stakeholders. Accurate documentation is a critical success factor, according to Mulshine. "While commercial criteria can guide a decision on medical necessity, it's the documentation by the clinical staff that the nurse will use to support the attending physician determination of appropriate status and to communicate the appropriate status throughout the hospital billing process," she says. Because the case for medical necessity begins when the patient enters the door, Nemiccolo points out that case managers now are working alongside emergency department (ED) physicians to help determine a patient's next steps. "They are responsible for looking at charts, analyzing what is documented, and comparing the information against whatever medical necessity guideline they are using to make a determination," she explains. Donaher notes that educating ED physicians about the need for more specificity has been a major focus at Waterbury Hospital. "The ED is the gateway of it all," he says, adding that ED physicians, who previously were not engaged in CDI, are now being called upon to document at a higher level. "The ED docs are not used to having all this interference," Donaher says, adding that once physicians were educated on the number of denials that originated in the ED, they were much more on board with stepping up documentation quality. "To meet medical necessity criteria for admission, they have to put together a lot more narrative. Their documentation is [vitally] important. It can make or break us." Nemiccolo notes that technology goes a long way in helping case managers guide physicians to make appropriate decisions. Tools exist and are leveraged by many facilities, including Waterbury Hospital, to help case managers base their decisions on the latest industry best practices for aligning with medical necessity. By standardizing decisions on the admissions process, Nemiccolo says there is less variance in care delivery and more predictable outcomes. While technology can bring many advantages, Mulshine notes that it also can present challenges in that multiple software systems often are used to address each issue. These systems typically do not interface with each other, creating duplicate record keeping. Donaher also points out that the software commonly used to guide case manager decisions does not always align with the current regulatory framework. Without hesitation, industry professionals point to the two-midnight rule as the greatest thorn in the side of case managers. Enacted by the Centers for Medicare & Medicaid Services (CMS) in 2013 to clarify vague rules regarding the boundaries between observation and inpatient status, the new rule has, at best, muddied the water. While complying with the CMS rule is challenging in its own right, Mulshine points out that it becomes more difficult when other insurance groups get involved. "Commercial payers who are not bound by the CMS regulations have different views of what constitutes inpatient or observation care, further clouding the determination of what is the appropriate admission status for any given patient," she says. "While care may be the same, reimbursement is not." Under the two-midnight rule, only patients who a physician expects will need to spend two nights in the hospital are considered inpatients—and are reimbursed as such. The rule dictates inpatient admissions are considered "reasonable and necessary" when patients require more than a one-day stay in the hospital. "Now at the 23rd hour, you have to make up your mind: Either admit or send them home," Donaher says. According to Nemiccolo, adhering to these parameters requires an early determination of a patient's status, which can be difficult in some patient populations. "It's challenging because it becomes less about clinical decision making and more about timing," she says, pointing out that clinicians have to predict what they "think" will happen. "There are situations that are easier to predict than others. For patients coming in who are more acute, there's more of an unknown. It becomes very challenging." For example, take patients presenting with severe abdominal pain, which can suggest myriad problems. While frequently these situations may point to something clear-cut, such as an appendectomy or a gall bladder issue, sometimes they can be much more complex. "Often when they are presenting, you don't have all that information yet and you are called to make a decision," Nemiccolo says. Meeting CMS' three-day inpatient rule to qualify for skilled nursing coverage presents its own set of hurdles. Nemiccolo says the rule has little to do with whether patients are medically appropriate to be in the hospital and more to do with whether they can be transferred without the patient having to assume the financial burden. The Hospital Readmissions Reduction Program also is a focal point for case managers as they work to steer patients in the right direction to avoid readmission penalties. Nemiccolo says case managers now must weigh decisions about discharge carefully as well as participate more thoroughly in patient education, transitions of care, and discharge follow-up. As case management roles continue to expand and evolve, many believe there will be more work outside the hospital setting. "Case manager models are changing," Nemiccolo says. "It's a slow change. You're seeing more community case management where case managers are starting to be involved outside the hospital in ambulatory settings." The health care industry's move to more of a wellness model may result in case managers being more responsible for helping patients stay healthy and moving care delivery models from reactive to proactive. "The exciting thing about what is happening is that [case managers] are getting reengaged in the nursing process," Nemiccolo says. "They are getting the opportunity to have a meaningful impact on patients."